Police officers said it was a stray incident, and a few stones were hurled at her convoy. “Modi Sahib has failed on every front. He tried to engineer a communal riot, he tried to engineer polarisation… After that, they did a drama of attack on Balakot,” she said. 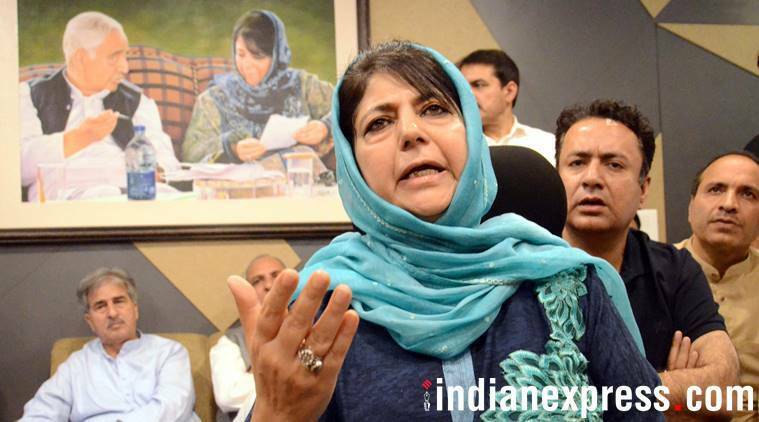 “BJP is sensing defeat and now efforts are being made… the way the situation is being created, the way the sense of insecurity is being created among the people, it seems that preparations are being made for another Balakot-like attack so that they secure votes in the coming (phases of) elections,” she said. “The politics right now… whether it is about an attack on Pakistan or about a hard approach towards Kashmir is vote politics and nothing else,” she said.